If you’re looking for an impressive flowering tree to brighten your garden the Southern Magnolia is hard to beat. 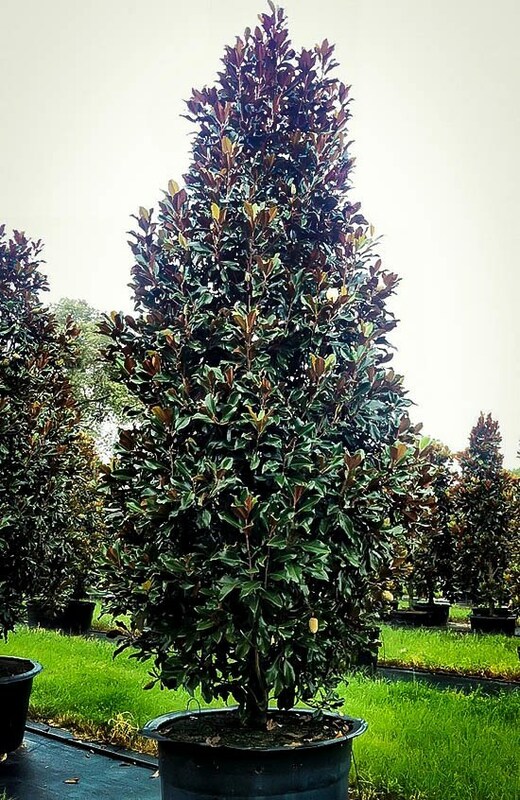 Elegant, evergreen and a native US species, Magnolia grandiflora is a popular choice among horticulturalists. 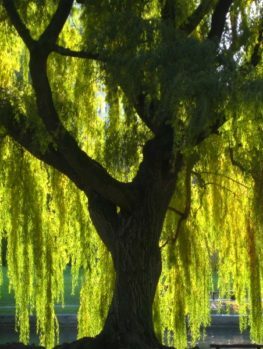 It does have one limitation though – it’s a warm-weather tree that can’t reliably survive the winter in much of the USA, especially the Midwest. 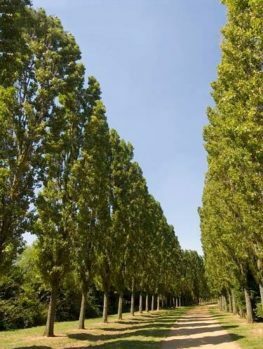 If that’s put you off adding one of these beautiful trees to your garden it might be time for a rethink! Bracken’s Brown Beauty is a tough cultivar of the classic magnolia that extends the species’ range several hundred miles to the north, and allows you to enjoy its looks across a much wider swathe of the country. More compact than the standard variety but still large enough to make an imposing tree, Bracken’s is also a perfect choice for mid-size to smaller gardens. If you’ve been hesitating about planting a magnolia, your wait is over! We don’t think any garden is complete without at least one tree to add scale and an additional dimension to your layout. 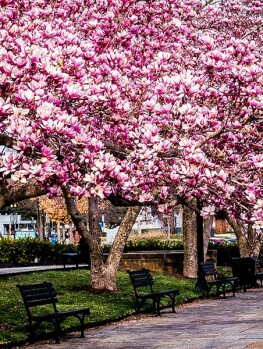 Most gardeners seem to agree – trees, particularly flowering ones, are among the most popular elements when it’s time to update or redo a garden. There’s a huge range of varieties to choose from, too, so it’s easy to create a distinctive and unique design. 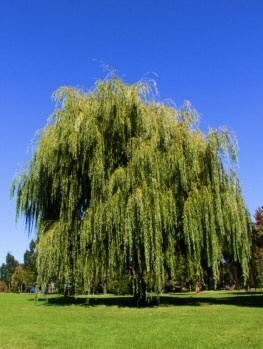 Not every tree is suitable for every garden, though – some are limited by climate. 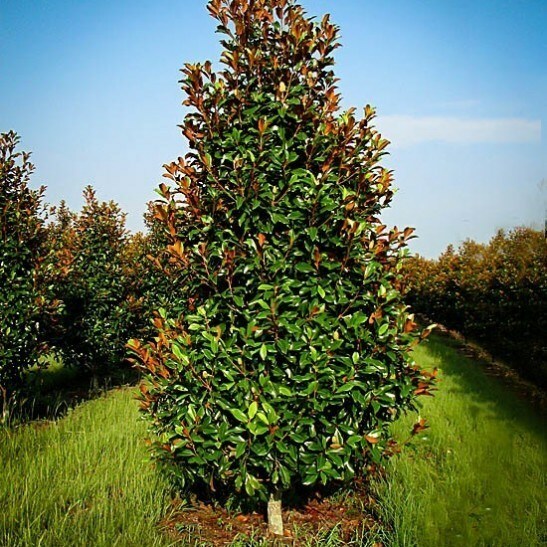 That includes one of the most popular, the Southern Magnolia. 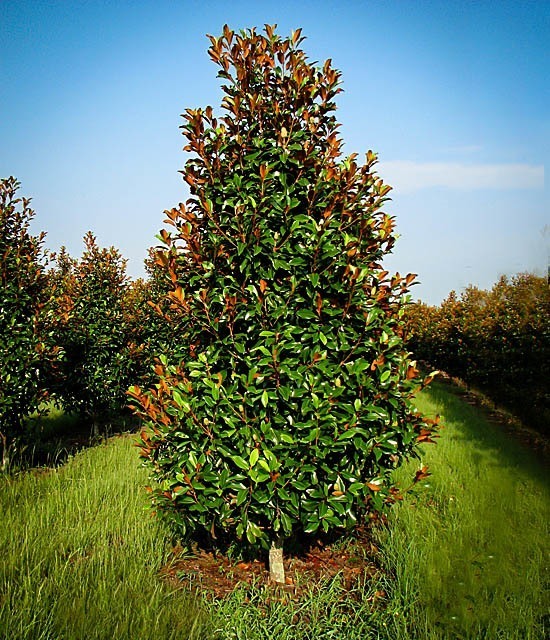 The Southern Magnolia (Magnolia grandiflora) is a firm favorite among the USA’s native trees. 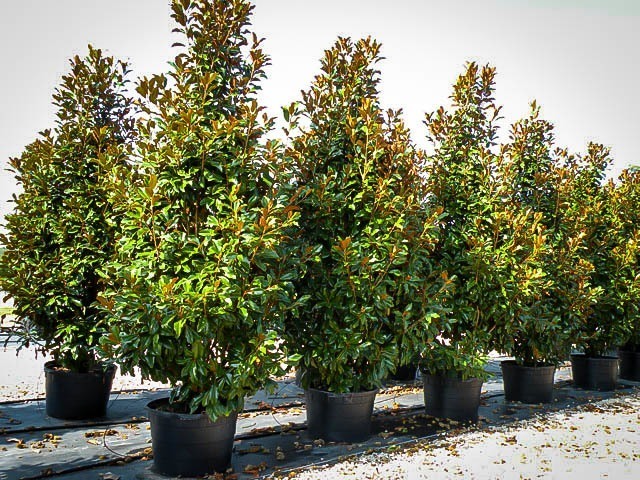 An evergreen, it adds a touch of year-round color anywhere it’s planted and it’s also renowned for its spectacular display of large, creamy white flowers. It’s a warm-weather plant though, most at home in the South and along the southeastern coast warmed by the Gulf Stream, and further north it often succumbs to the winter weather. That doesn’t have to be the case though; not all varieties are equally susceptible, and by opting for Bracken’s Brown Beauty you can enjoy the sight of your very own magnolia tree well to the north of its usual limits. The Southern Magnolia is a mid-sized cultivar of the Magnolia tree, usually reaching a height of between 20 and 30 feet when mature. Its leaves are large and ovate, with a leathery, dark green upper surface. On this cultivar, the undersides are brown, which many gardeners believe indicates a better tolerance to cold weather (although science is less clear on this point). 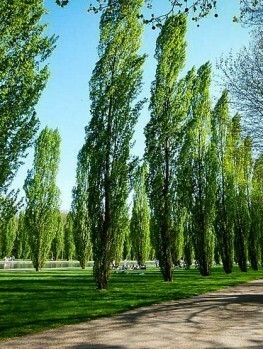 Whatever the truth of that the leaves give a very attractive bi-colored appearance to this tree, and create an entrancing effect when moved by a breeze. The Brown Beauty’s best display is to be seen in May and June, though, when the flowers appear. This variety’s blooms are slightly smaller than the regular magnolia but, at four to six inches wide, still impressive. After the main flowering ends in June the tree will continue to blossom sporadically through the rest of the summer – and if you plant it in a warm climate, often all year. Of course the big attraction of Bracken’s Brown Beauty is that you don’t have to plant it in a warm climate. Unlike most Magnolias, it’s reliably winter-hardy throughout USDA plant hardiness zones 6 to 9, so you can safely plant it in St. Louis or other areas with a similar climate. In fact this variety has been awarded the “Plant of merit” status by the Missouri Botanical Garden for its winter hardiness. In the colder parts of its range it does prefer to be planted in a sheltered location but a hard winter isn’t the disaster it would be with other varieties. 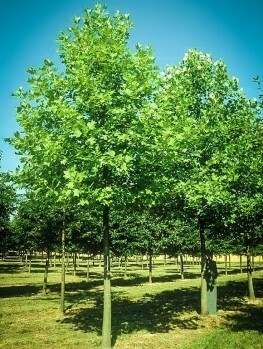 The ideal location for this tree is somewhere that gets either full sun or partial shade, and has moist, organically rich and well-drained soil. It’s happiest in loam but clays should be avoided if possible. If you can find a spot that gets shade in winter; winter sunlight seems to damage the foliage. In extremely cold weather you may find that your magnolia becomes partly deciduous, shedding many of its leaves. Don’t worry if this happens, as they’ll regrow in spring. Normally it drops leaves constantly throughout the year. The foliage can be sensitive to air pollution so if you live in a very urban area, Magnolia might not be the best choice for you. If air quality is generally good, however, it should thrive. Its size also makes it ideal for suburban gardens where a full sited magnolia might be overpowering. Bracken’s Brown Beauty is large enough that it’s best used as a specimen tree, and looks particularly good on lawns. It will enhance your garden all year round with its rich foliage – the large leaves are also popular inclusions in floral decorations – and of course there are the flowers in late spring. Once the main crop of flowers has faded they will be replaced with conical fruiting clusters; these ripen through late summer and fall, eventually throwing forth a dense array of individual seeds, each suspended from the branch on a slender thread. The seeds themselves are a rose-red color, adding yet another touch of color and interest to this remarkable tree. Because it’s a native species, the Magnolia also makes a familiar home for your local wildlife. In spring you’ll see bees and butterflies congregating around the aromatically scented flowers, which is also a big help in keeping the rest of your garden pollinated. Birds and squirrels can find year-round refuge among the foliage and the seeds are also a useful food source for small creatures fattening themselves up for winter. 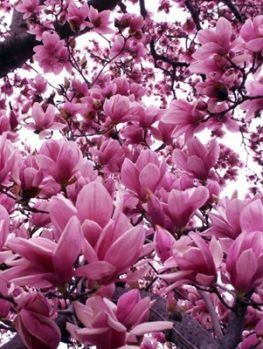 Beautiful and beneficial, this superb tree makes a great addition to any garden and makes owning a magnolia possible for millions of people who thought their climate was too harsh. We highly recommend it!